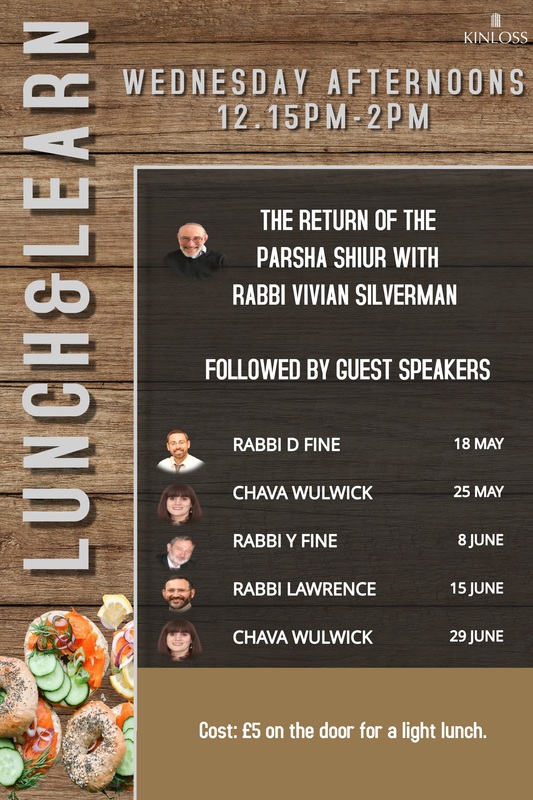 12.15pm - Parsha Shiur with Rabbi Silverman looking at classical commentaries and modern sensibilities. This will be an in-depth, modern look at the Parsha through the lens of the classical commentators. Cost: £5 on the door for a light lunch. For more information or to book, please contact Lucy on 020 8349 5267 or click here to email. *dates and speakers may be subject to change.